Reports state a 70 ton barge sank near Rio Cordoba, Columbia loaded with coal. The barge owned by the mining company Vale S.A. The barge sinking was caused by bad weather and rough seas. No details given on injuries, pollution or salvage of the barge. 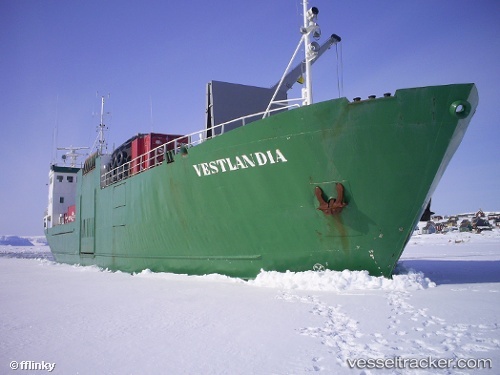 The 1500 dwt reefer vessel Vestlandia struck ice off the Greenland Coast near Upernavik. Reports state there was some damage to the hull, but the vessel was able to reach Nuussuaq Bight to be inspected. There is a risk that the Vestlandia may release fuel and cargo may need transfer to another vessel. The 1265 dwt general freighter Rand went ashore near Kumluca, Turkey in the Mediterranean Sea. The Rand went ashore after dragging its anchor in a storm with high winds and heavy seas. The crew of 9 were reported as rescued by the coast guard. Reports do not list what damage was sustained or if pollution was released.